Seattle act Death Cab for Cutie comes to Spokane for the first time since 2009. In the Japanese art form kintsugi, artists take broken pieces of pottery and meld them together with precious metals, highlighting the imperfections rather than trying to conceal them. 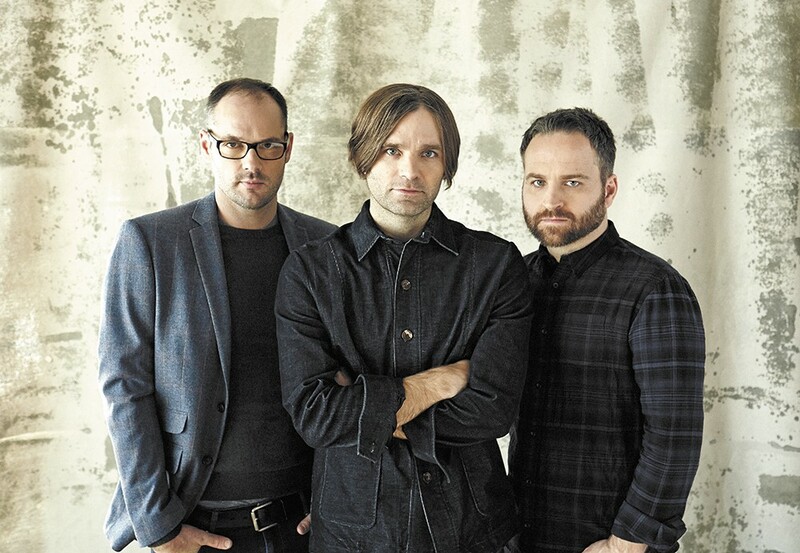 Death Cab for Cutie's new album, named after the art style, gets up close and personal with those ugly ridges. Subsequently, it's the best record the group has made in years. The writing is tight. There's an electronic element to the sound, but the humanity shines through just as much as it did in the emotionally driven Transatlanticism more than a decade ago. Like so many artists and musicians before him, it seems that frontman Ben Gibbard had to get his heart shattered to create something worthwhile. In 2011, his divorce from New Girl star Zooey Deschanel, an indie rocker in her own right, was made painfully public. Last year, founding DCFC member and producer Chris Walla left the band, leaving Gibbard, bassist Nick Harmer and drummer Jason McGerr to fend for themselves. That's a lot of feelings to try and work out. For the band's eighth studio album, produced by Rich Costey, Gibbard put all of that into the lyrics. In "No Room in Frame" Gibbard starkly sings the lines: "Was I in your way / When the cameras turned to face you? / No room in frame / For two." Gibbard has distanced himself from social media — of course, not having a Twitter account means people will create one for you, as is the case of Fat Ben Gibbard who hails from BellingHAM, Washington — but here, recorded for all to hear, is a thinly veiled experience from Gibbard's Hollywood marriage. Gibbard wants to remain a private person living in Seattle, but in the music he exposes his soul. This is what fans liked about DCFC in the first place. Back in the late '90s and early aughts, emo Bellingham/Seattle kids latched onto the band's indie rock music for dear life. Soon that devotion expanded to the rest of the country (at the expense of being called sellouts back home). Now these fans are adults with cracks of their own, and Gibbard's lyrics continue to apply.